Hello there and happy Tuesday to ya! 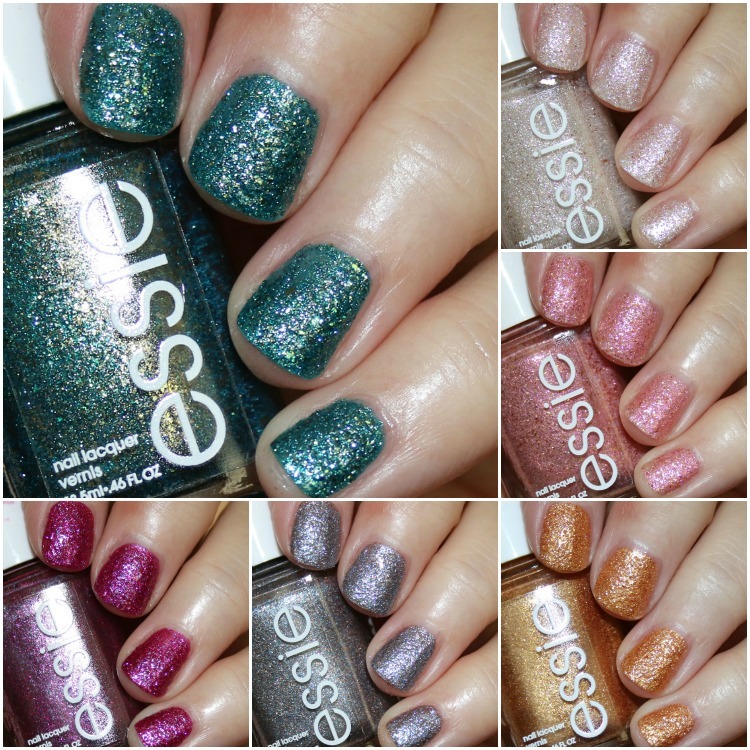 I’ve got the limited edition essie concrete glitters collection today! 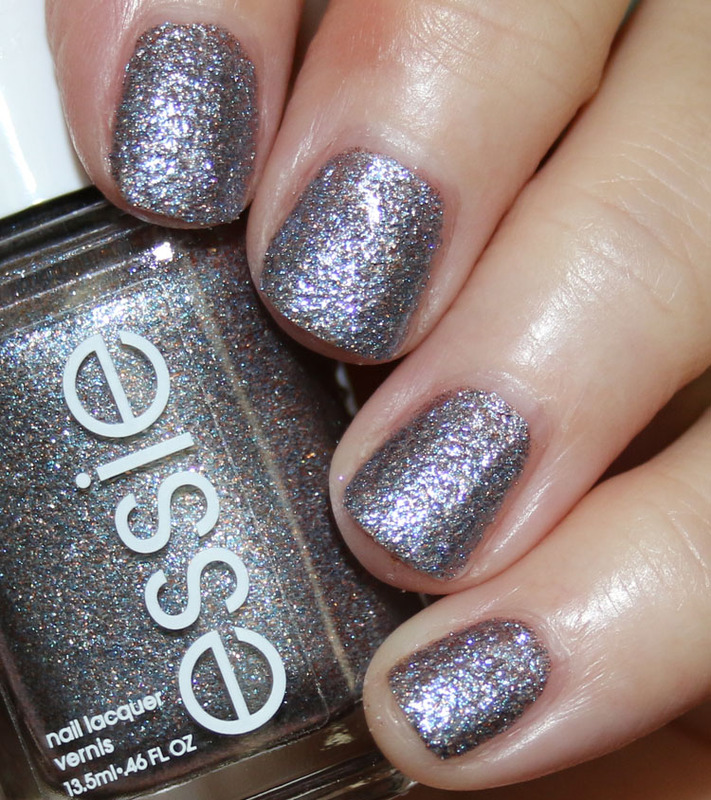 The essie concrete glitters collection features six new shades. These are textured polishes, each one has crushed crystals, making them super sparkly, yet matte at the same time. They apply very easily and cover completely in just two coats. venture to the venue is a vanilla white with gold glitter. beat of the moment is a light rose pink with pink and gold glitter. 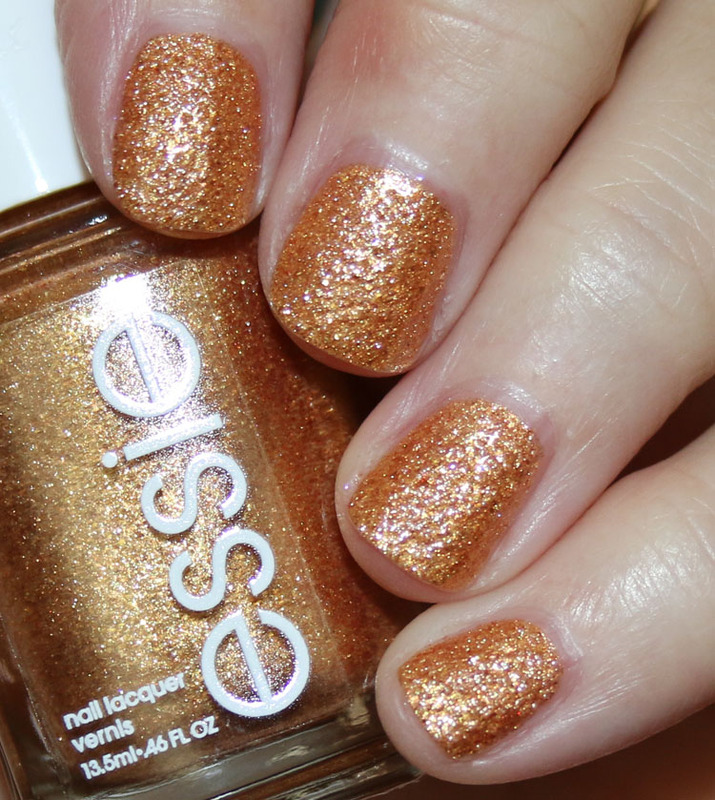 can’t stop her in cooper is a rich gold with copper glitter. stay up slate is a deep grey with gold and purple glitter. 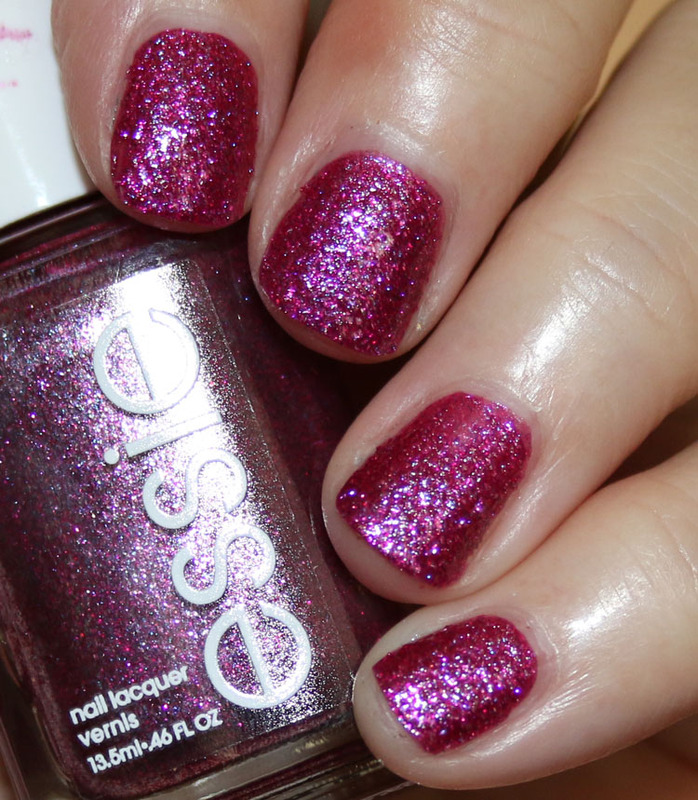 city slicker is a bright fuchsia with pink glitter. 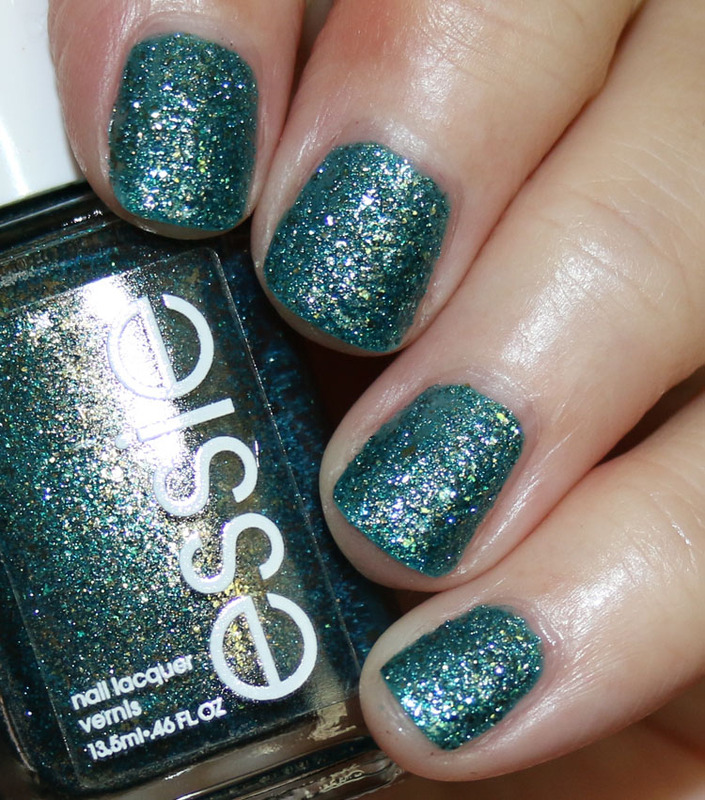 night owl is a deep emerald green with gold and green glitter. Aren’t these pretty? I am really smitten with them. They are very similar to Zoya PixieDust in terms of the texture and formula. They dry super quick and are very pigmented. I love all these shades but am especially fond of stay up slate and night owl. 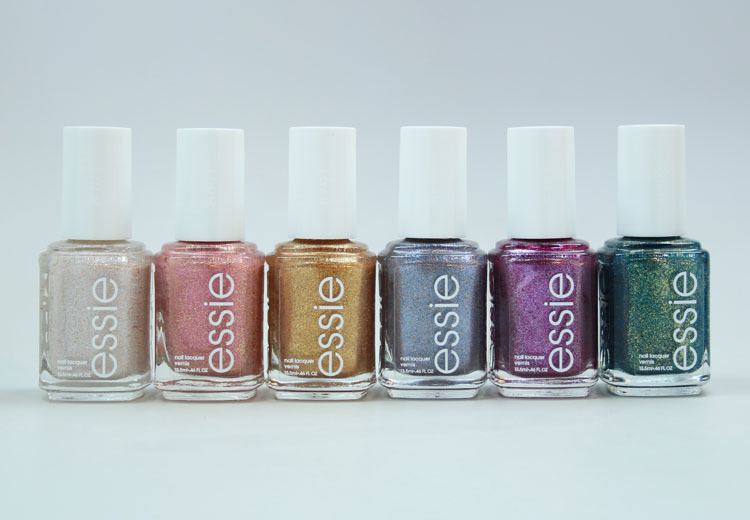 You can find the limited edition essie concrete glitters collection this month on their site and in select salons and beauty stores and they are $9.00 each. Are you interested in these shades? I like these, too. How were they when you had to remove them? Same as any/all glitters basically. 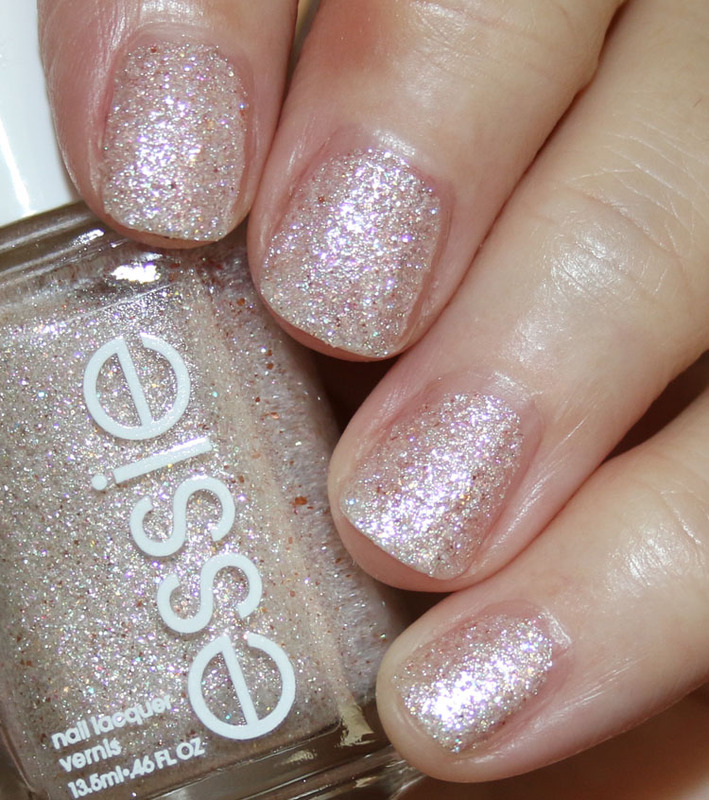 I have not been so excited by an Essie release in a long time! I need Night Owl and Stay Up Slate! It’s my birthday on Friday, maybe I’ll have to treat myself if I can find them here in Canada. Here’s to hoping you can find them! These are beautiful. In your opinion, what’s different between these and the pixie dust polishes? And are these difficult to remove? I think maybe PixieDust is a little smoother, with slightly smaller/finer particles. These remove the same as any glitter pretty much. 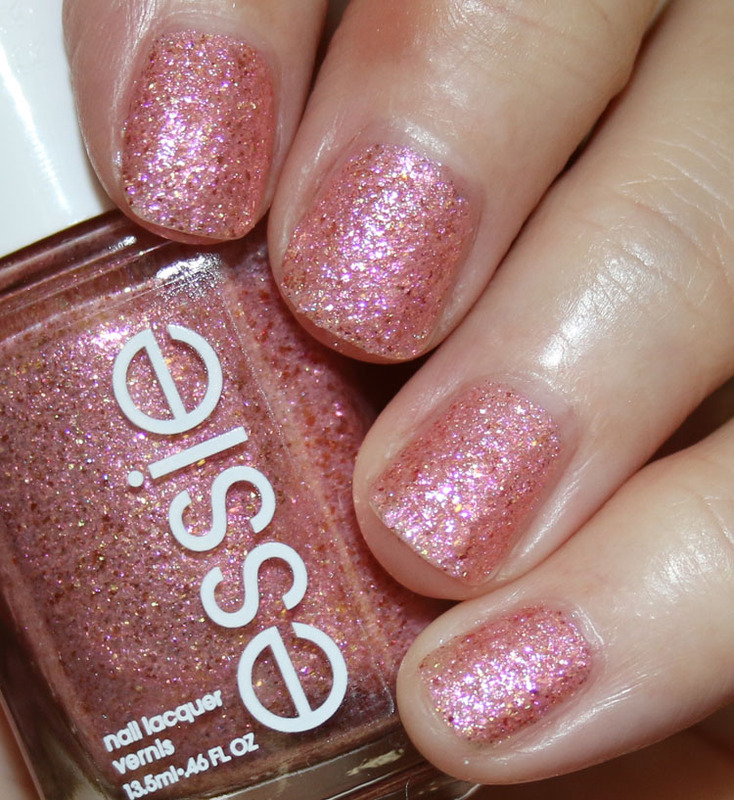 unfortunately is soo hard to find essie in México 🙁 I’ll have to hunt them down online for sure..